When I first heard that Clinique were releasing 8 new shades to their hugely popular Chubby Stick range I nearly fainted with excitement. They are one of my absolute favourite lip products!!!! I absolutely adore these little chubby sticks of colourful goodness and I own nearly all the original shades (you can peep some swatches here). The new shades include some gorgeous shades that are just as cute as the original collection and they are released TODAY!! 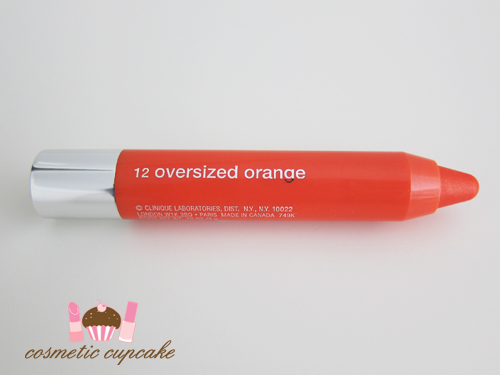 I have my swatches of one of the shades Oversized Orange for you today! 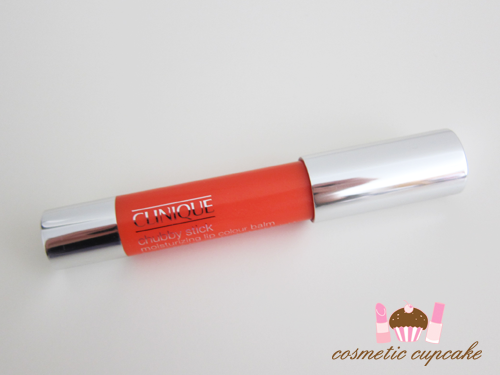 "Chubby Stick Moisturizing Lip Colour Balm is Clinique’s #1 lip product worldwide. To chubbify the Chubby Stick craze, Clinique is introducing 8 new mouthwatering hues with stay-true colour and buildable coverage ranging in shades from oranges to pinks to fuchsias and violets. Have a little colour or a lot with: Heaping Hazelnut, Bountiful Blush, Two Ton Tomato, Oversized Orange, Mighty Mimosa, Curvy Candy, Pudgy Peony and Voluptuous Violet. They are packaged in the same chunky twist up crayon and have the same moisturising formula that contains Shea Butter, Mango Seed Butter and Jojoba Seed Oil. You can read my full review of the Chubby Sticks here. 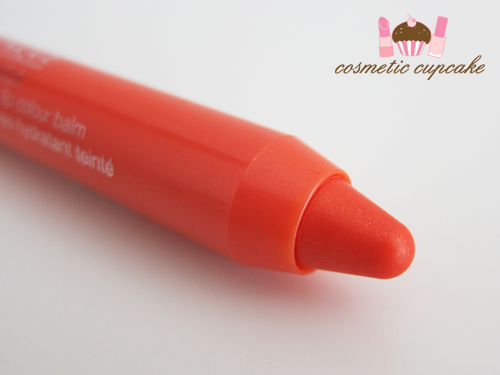 Oversized Orange is a wonderfully summery tangerine shade with slight shimmer through it. It looks alarmingly bright in the tube but like the other Chubby Sticks apply quite sheer. It's a fantastic way to try brighter shades without being too in your face. My lips are quite pigmented so orangey shades tend to lean very pink on me. 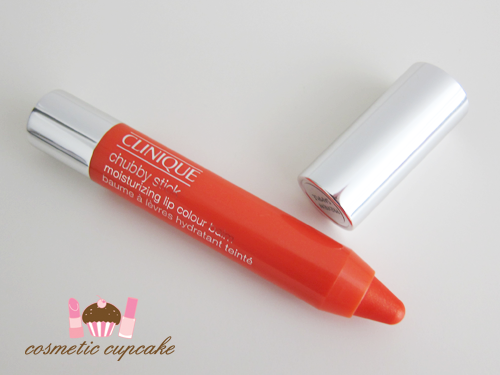 Overall: I am madly in love with Clinque Chubby Sticks and I adore Oversized Orange just like I do my others! Oversized Orange is a fun shade and perfect for the warmer months. I especially love wearing my Chubby Sticks to work as I don't want something too bright so these give the perfect hint of colour and stay power is good so there's no need to reapply all the time which is great. 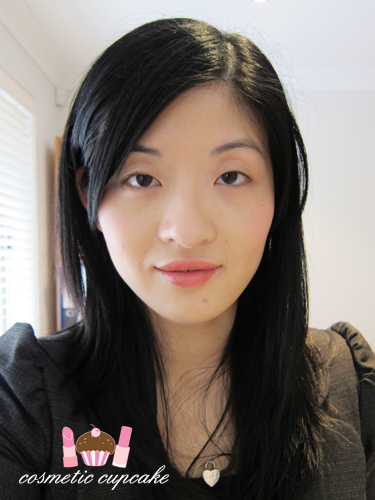 I really enjoy the balm texture of the Chubby Sticks and I find them very moisturising - they feel wonderful on the lips. Love love love these! 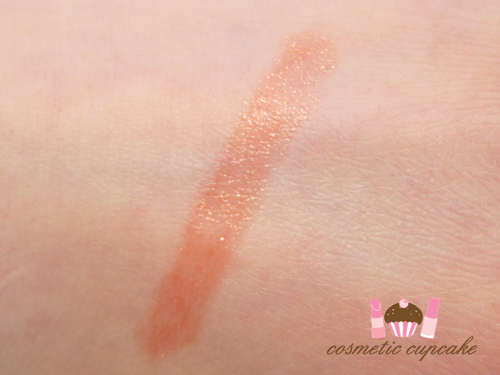 I am absolutely dying to go instore to swatch the other 7 shades! I can see myself picking up a few others.. not that I need more lip products haha! Details: The Clinique Chubby Stick Moisturizing Lip Colour Balms are available in 8 NEW shades from today July 29th 2012 at Clinique counters nationwide and online at www.clinique.com.au for $35. They are available for purchase in the US from www.clinique.com for $16US and in Hong Kong from www.clinique.com.hk and Clinique counters for $130HK. Will you be heading instore to check out the new shades? Thanks for looking as always! I love all things Clinique! Chubby Sticks are also perfect for someone like me who has fairly NON-pigmented lips but hates the feeling of lipsticks and reapplying lip color. These really are as easy and comfortable as lip balm. They don't feel sticky and they provide enough color (but not too much) without a high-gloss look. I must say your picture quality is AMAZING. It just makes me like your blog so much!! And the Clinique lip product looks fab. Looks like a natural collection which we can wear everyday! I might also wanna try the berry colour!!! Oh thank you so much!! I just use my trusty Canon point and shoot ;) All the new Chubby colours look amazing it's so hard to choose which ones to get! Awwww thanks for your sweet comment Carly! I normally would go for the pinks over orange too so I'm very lucky I was sent this to try out. It's something a bit different but not too in your face. I love the feel of the Clinique Chubby sticks and this colour looks a lot nicer than some of the older ones, I'm very excited to check out the 8 new shades! I have Whole Lotta Honey which is a MYBB shade, but I need more orange lippies! I love clinique chuby sticks! Not a problem Courtney =) The packaging is one of the best things about Chubby Sticks I think! So easy to use.